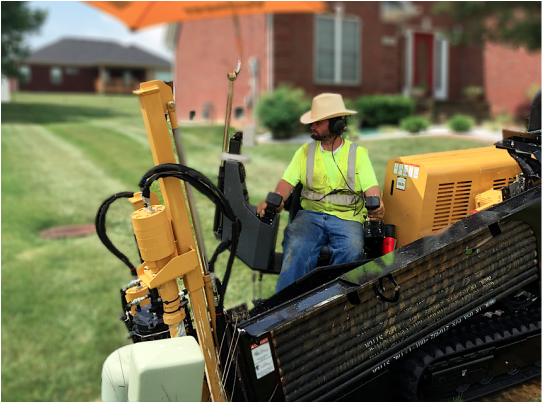 Simply put, directional drilling allows our technicians to drill in a horizontal direction without having to dig across an expanse of soil. In the past, the only option for installing piping was to essentially destroy the landscape, while a large, obtrusive crew and their equipment overtook the property and spent weeks digging trenches for pipe installation. Directional drilling revolutionized this process. Utilizing the latest technology and equipment the industry has to offer, our experienced crews get product in the ground safely and quickly for our customers. At the same time, we take extra care to give each and every yard the attention and respect they deserve. Happy homeowners equals less complaints and a smoother end result.